Problems fitting the Adventure Island Sat./Wed. travel schedule? No problem. We'll help. Problems fitting the Adventure Island Sat./Wed. travel schedule? No problem. We’ll help. One of the issues that often pops up as our customers move closer to booking a trip involves scheduling. A very good thing. In fact, its remoteness and pristine beauty are consistently one of its biggest attractions and one of the things about the trip that seems to have the biggest lasting impact on our guests. But that same remoteness also means there is no public transportation network to bring you there and take you home. “Off the grid” not only means no electrical grid, no water grid, it also means no transportation grid. So, like with everything on the island, we have to provide transportation ourselves. Meet The Batfish, our 41-ft. shuttle boat that ferries our customers to and from the island. The trip takes half a day each way, with a layover on the island to offload luggage, food, water and other supplies and to load up the cargo and people leaving for the mainland. It takes a full day for the round-trip, which during the season, runs twice a week, on Saturday and Wednesday. And that’s basically the only way to get to Adventure Island. (Some guests who miss the shuttle due to problems with their flight end up booking a charter boat for around $650). Which explains why trips to Adventure Island need to begin and end on the pre-set schedule and why some guests at first find it difficult to understand why they can’t start their vacation on their own schedule. Well, in fact, they can. Many of our guests arrive in Belize a few days earlier than their trip out to the island or stay a few days after their trip in order to accommodate a vacation from work that they have no control over or other considerations that make their vacation schedule less flexible. 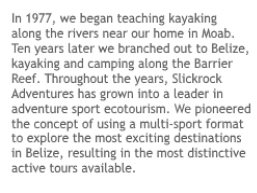 And we work with them, helping them to discover and plan those bookend periods in Belize. 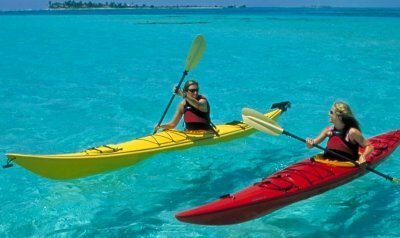 In fact, we’ve become experts in helping folks plan extracurricular Belize vacations.